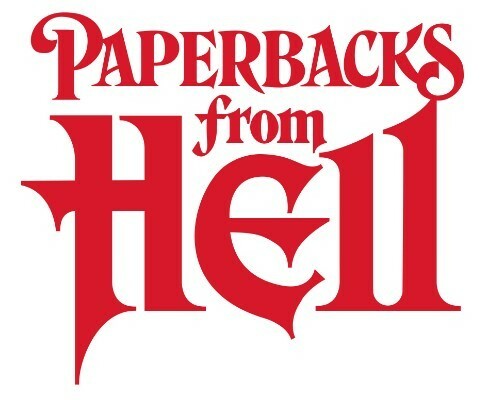 From the pages of Grady Hendrix's best-selling Paperbacks from Hell: The Twisted History of '70s and '80s Horror Fiction (Quirk Books, 2017), Valancourt Books is pleased to announce a new limited series of five long-unavailable paperback horror gems from the '70s and '80s, chosen by Grady Hendrix and Will Errickson (Too Much Horror Fiction). All five titles will be available for a limited time in a special mass-market size format, and in some cases will feature their original glorious paperback cover art. Each book will feature a brand-new introduction written specially for this edition by either Hendrix or Errickson. 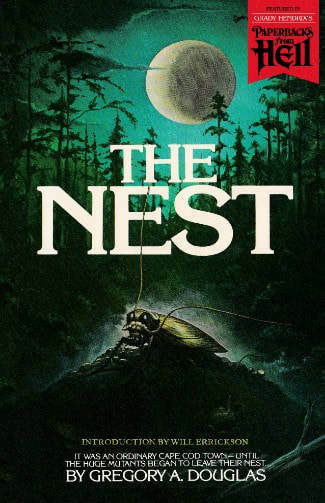 The inaugural volume, Gregory A. Douglas's The Nest, goes on sale April 2, with one new volume per month thereafter. Collect them all! Individual paperbacks can be ordered at the list price of $16.99 each plus $3.49 shipping in the US/UK, or you can subscribe to the whole set for a flat $85, which covers all five books and the five separate shipping costs to send each one (US/UK only), working out to a discount of 20% off the list price on the books. Books are sent out as they become available. If you pre-order all five books, you will receive one at a time. Pricing for the subscription service includes shipping to the US and UK. If you are outside of the US and UK and you want to pre-order all five paperbacks, please contact us through our contact form with your address and we can send you a Paypal invoice with the exact shipping for your country. Books are sent out as they become available. If you pre-order all five books, you will receive one at a time. Ebooks can be purchased without contacting us. Books purchased individually will have shipping calculated during checkout using the Paypal buttons. Visit our website for ordering.